Saratoga Pines Real Estate and homes for sale in Saratoga Pines. 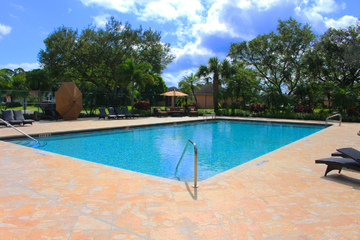 Saratoga Pines is a single family community located right in the Northwest corner of Royal Palm Beach, Florida. There are 3 to 5 bedroom home designs with well constructed floor plans. Royal Professional Builders constructed the community. Saratoga Pines features about 399 family homes with varieties of flexibility in terms of price and size. Each of the homes in Saratoga Pines offers at least three bedrooms, two bathrooms, and a car garage. Saratoga Pines, Royal Palm Beach is a lovely place to call home as it offers varieties of amenities as well as lifestyle for the residents. Saratoga Pines offers activities for everyone including nearby golf, outdoor activities and nature trails. It also has parks, playgrounds, basketball, tennis court, sidewalks, picnic area, and a community pool. Within the area, there is shopping, boating and dining options to keep residents busy. Outside Saratoga Pines are entertainment options where residents can enjoy their leisure such as the Regal Cinemas, Royal Palm Beach 18 and an open air Amphitheatre which serves as venue for more concerts and festivals.